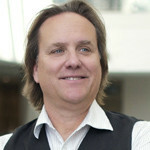 Mike brings over two decades of entertainment industry expertise and technology insights to ERN. As a longtime executive in the music and interactive industries, he keeps listeners on top of the newest trends and hottest products in the home/mobile entertainment fields. Mike’s background includes: writing, producing, and marketing in the music and software industry, as well as managing a record label. He also enjoys his organic farm in Ojai, California. Mike graduated from SDSU with a Bachelors of Art degree in Economics.